A while back we were at the bulk store and I bought a little dollop of bulk pumpkin nut butter. I took it to work the next day and made some toast and spread it on, and nearly spat the mouthful out. It was so bitter and awful. I tossed the rest of the spread. Soon after I was talking to a co-worker while she made her toast for breakfast and was topping it with some almond butter. 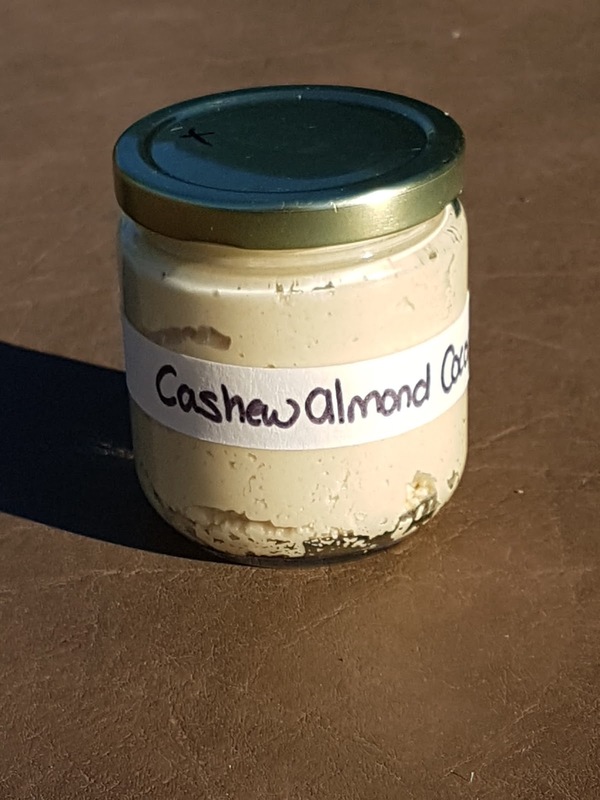 I mentioned my bad experience, and she said she makes her own almond butter every weekend, trying different combinations. That week was a cinnamon almond butter that she was loving and she told me she'd send me some recipes to try. She didn't, and because I'm so socially awkward that I couldn't remind her of it, I let it go. And then, one day The Mister was off to the store to pick up a few things, and I asked him to add some cashews to his list. I meant roasted and salted ones for eating, but he assumed I needed them for baking, so came home with a bulk bag of raw and unsalted cashews. I thanked him and tossed them in the cupboard until baking inspiration struck. AND THEN, one day I came across a Buzzfeed article on making your own nut butters, and one was a cashew butter, and I was like - hey! I have some! So I saved the article and the next weekend I was in the kitchen ready to make cashew butter.